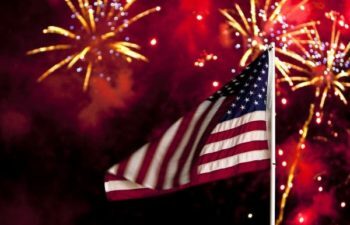 (813) 254-7119	Independence Day: Fun, Dangerous or Both? Independence Day: Fun, Dangerous or Both? The Fourth of July is a time of celebration among friends and family all across America. Over the weekend the smell of barbeque pits, the taste of cold beer and the sight and sound of fireworks will be a staple for most Americans. Though this is a time to rejoice, it is unfortunately also a time of great disaster on our nation’s roads. According to the Insurance Institute for Highway Safety, Independence Day has been deemed the most consistently deadly day of the year! With close to 44.2 million people travelling around the country for the holiday, and 37.5 million travelling by car, there is bound to be an incident or two. A recent study found that there is an average of 118.4 deaths by car and 28.5 deaths for motorcyclists during this time. An even more astonishing figure is that of these deaths, 47% of them were caused by a driver with a BAC> 0.08! These facts are astronomical and the cost of your first DUI too. Bactrack.com found that your first DUI can cost upwards of $20K, and that’s not even taking into consideration potential property damages! Being in this field for quite some time we have seen the grief that many people just like you and me have experience from one moment of bad judgement. A lifetime of pain is not worth one day of fun. Here at Ligori & Sanders we are looking forward to a weekend of joy and laughter with our family and those who are closest to our hearts; and we know you are too. You can’t put a price on your life or the life of others, and that’s why we urge you to never get behind the wheel if you have been drinking. As outlined in our previous blog post, Uber & Lyft have been officially approved in Florida, so we suggest you utilize these services. Even if you have not been drinking, the roads can be a dangerous place especially on such a busy weekend. So go out this weekend, meet up with your friends, have yourself some drinks and light up that grill. Celebrate your freedom and hold our flag up high and proud, but just remember that stakes are higher than usual on the roads so get a designated driver, take an Uber or Lyft or just stay in one location. We want everyone to be safe and have a Happy Fourth!